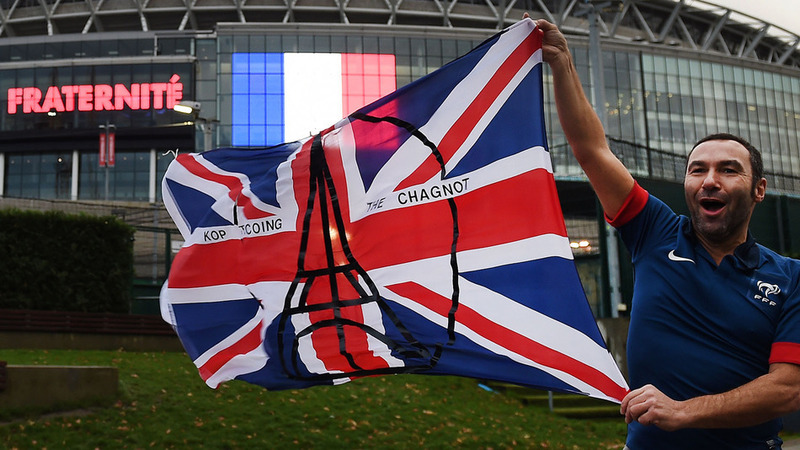 The friendly between France and England took place at Wembley Stadium just four days after the attacks in Paris. These are a handful of photos from the event, though by far the moment of the match was all of Wembley singing "La Marseillaise". In other football news, this was the scene from Hanover for Germany vs. The Netherlands. The match was canceled due to security threats.